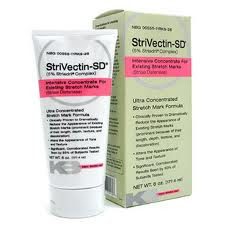 StriVectin is offering a Deluxe 3 week free sample of StriVectin-SD. This product is supposed to help visibly reduce the look of wrinkles and stretch marks. I have not personally tried this product, but I ordered my free sample and if it works as well as they say, I will buy it, and hopefully get my pre-pregnancy tummy back! This offer is good until 8/25 or while supplies last. So go get your sample!